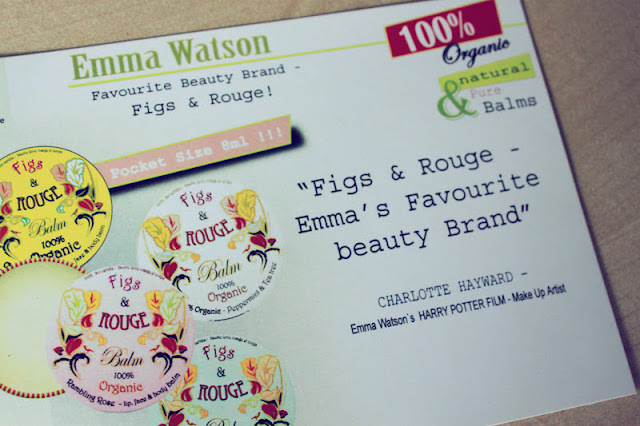 Many people, I including, received a Figs & Rouge balm in the 'natural' Glossybox. I was instantaneously hooked- as was everybody else (guesstimate) who received one- or they should have been anyway! The way I see it, these are the ultimate travel accessory. 100% organic, cruelty free, beautifully smelling and multifunctional! 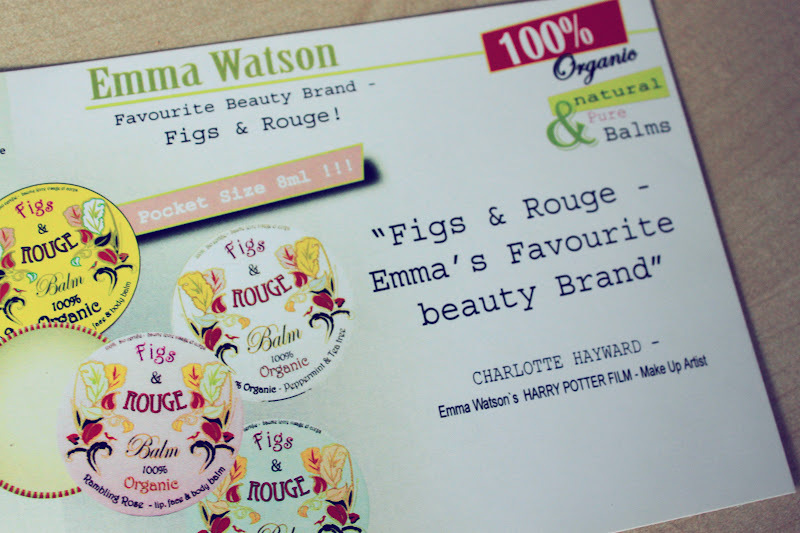 So, when I saw Gemma from 'Gemsmaquillage' was giving away a Figs & Rouge Balm Set, I jumped at the chance to enter. I thought no more of it, having already decided I would repurchase a Balm when my Glossybox one ran out. But, I was lucky enough to win! 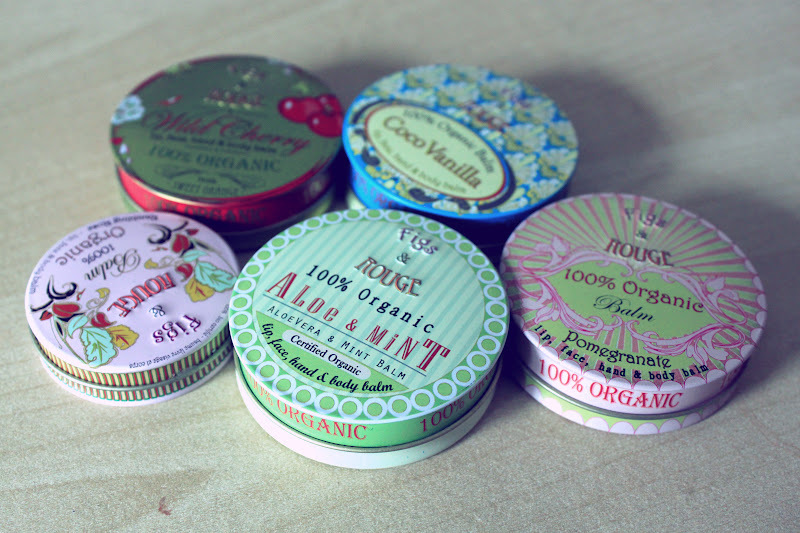 Not only does it do all this, but it all comes packaged in what I think are the cutest tins ever! They looks so sweet on my vanity and I love pulling them out of my handbag. The different designs make me want to collect them all. I highly recommend them to anyone (they can be purchased from feel unique or boots). Hey, if Emma Watson rates them....?